While many of us (myself certainly included) were getting our hearts broken with the World Cup, it was all business for Ray Shero and the crew at day 2 of the NHL Draft. He continued the trend of taking wingers, as his first 3 picks of the day (5 total) were wingers. The other trend that continued was the selection of Americans. Along with Bennett, 3 more Americans were taken today. Shero is clearly rather satisfied with the young nucleus of d-men in the system (Lovejoy, Strait, Despres, etc) and felt he needed to build up the wings. Here is a rundown of the picks of the day. 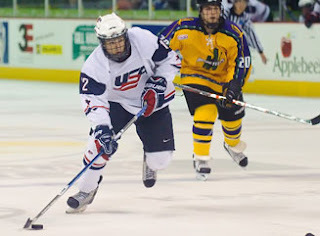 Rust, a USA Junior prospect, is a strong offensive factor with the puck. He is a good scorer, and was one of the main offensive leaders with the U-18 squad. He is neither small nor huge, so he brings his balanced attack to the floor with the potential to eventually work his way up to the NHL. Next season, he will be attending the University of Notre Dame. Kuehnhackl comes from a good hockey bloodline, as his father was widely celebrated as one of the top players in Germany. He is no slouch himself, rated overall as the #8 European skater. He, like Rust, brings a balanced attack to the team. 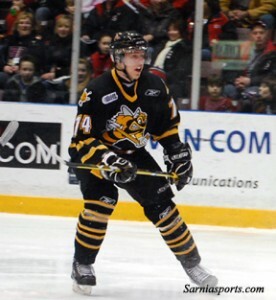 Next season, he will be moving to North America to play for Windsor of the OHL. Agostino ripped up the NJ high school system, putting up MASSIVE stats in a small number of games. Yes, the competition was not near as fierce as in small pro leagues, but he still shows much promise. He will have plenty of time to develop in the system, as he will be attending Yale University next year. Rogalski is a technical defenseman. 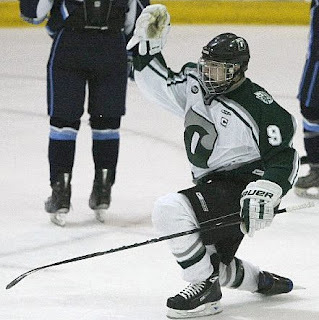 He is not incredibly big nor is he all that speedy, but he has been respectable with Sarnia of the OHL and perhaps he could be a depth player sometime in the future. McNeill is a 6'3 defenseman who has developed a bit of a reputation as a scrapper. These qualities mean he may one day be effective at the AHL level, but maybe not necessarily the big leagues. The Pens traded their 7th round pick away to San Jose for San Jose's 7th rounder next year.